Yes. CBD (cannabidiol) can interact with other medications that, like itself, are metabolized in the body by the cytochrome p450 enzymes CYP3A4 and CYP2C19. By competing for these enzymes, CBD can reduce the metabolism of such drugs, raising their blood levels and possibly requiring downward adjustment of their doses. This has been seen in clinical trials in which hundreds of milligrams of CBD are given daily. The effect may be less pronounced with CBD supplements that provide smaller doses (single or tens of milligrams). 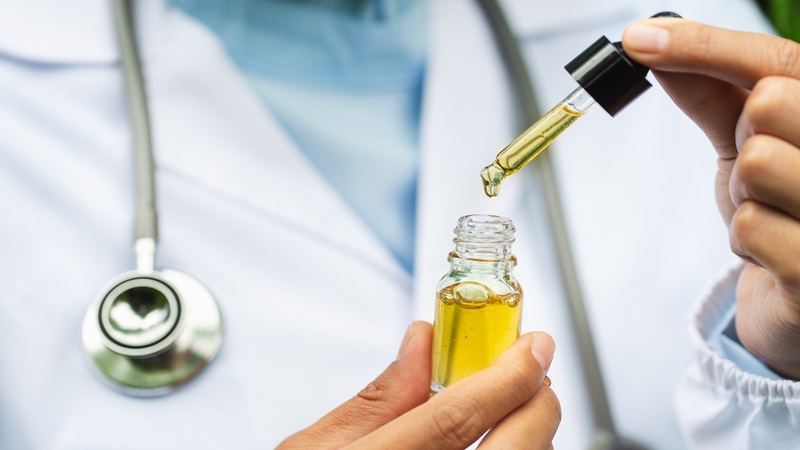 For details and specific medications that may interact with CBD, see the Concerns and Cautions section of the CBD Oil and Hemp Extract Supplements Review. What about CBD applied topically (like to an ankle) - any issues? recommended dosage? It seems the troubles may arise with large dosages. Not with something that has only 25mg of CBD ? Hi Jeffrey - As explained in the review (https://www.consumerlab.com/reviews/cbd-oil-hemp-review/cbd-oil/#interactions) these effects appear to be dose-dependent, and it's possible that lower doses (e.g., 25 mg or less) would have more modest effects, but until more is known, it's best to be cautious. This CL Answer initially posted on 2/5/2019.